The lightweight transport wheelchair is a godsend for caregivers and family members. It makes pushing the seniors or patients much easier than before. We reviewed the top 8 best lightweight transport wheelchairs on the market in this post. We are sure that you will find your favorite in this list. What is a Lightweight Transport Wheelchair? You might wonder what’s the difference between an ordinary wheelchair and a lightweight transport one. Well, if you are a caregiver you might realize that pushing an ordinary wheelchair is hard! Why? Forget about the weight of the person, these chairs themselves weigh so much that moving them without any weight can get tiresome. However, the best lightweight transport wheelchair is specifically designed to allow you to move someone in the easiest way possible. Their lightweight chassis and durable frame make them a popular choice. The best part? Most of them can be easily folded down, and snuck away into the trunk of the car while traveling or behind the bed when not in use! The reason some folks require these unique seats are because they are incapable of moving them their selves. Therefore, these chairs are designed to ensure maximum comfort and support to the user as well as perfect ergonomics for the caregiver. The grip handles are usually ergonomic and do not cause any strain. 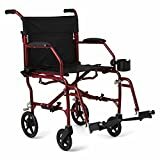 These best lightweight transport wheelchairs can certainly make your life easier and make moving around your patients a breeze! However, with so many wheelchairs on the market, how do you realize which one is the best for you? Surely, the vast number of features are confusing and you can end up with the wrong chair! 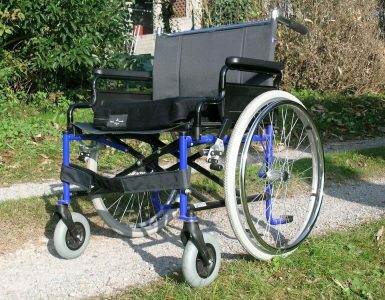 We also reviewed other types of lightweight wheelchairs. So, we have handpicked our top eight best lightweight transport wheelchairs for you! Check these out and be your own judge! 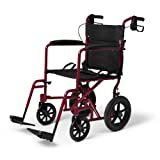 The Medline Lightweight Transport Adult Folding Wheelchair with Handbrakes stands far above various manual wheelchairs on the market due to its unique design and durability. This amazing wheelchair makes it easier for users and bystanders to help move around with comfort and ease. Compared to other standard wheelchairs, the Medline wheelchair is designed to be much lighter for easier handling and it’s one of the best lightweight transport wheelchairs. Along with that, the chair is more dynamically design to be compact so that you can easily navigate through tight spots and narrow spaces （See also narrow walkers for small spaces) that most other chairs won’t allow. This chair also provides you with loop-lock handbrakes that are easy to control and perfect for locking the rear wheels while moving the chair around. It also offers a seatbelt, which keeps the user safe and secure. Moreover, this chair offers optimum compactness when folded, so that you can easily load it in a car or carry it around for portability. With a weight of about 23.5 pounds, this chair is much easier to carry than others on the market. 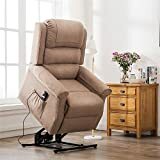 You also get to benefit from its comfortable nylon seating, full-length armrest, and detachable footrests for the best convenience and comfort. 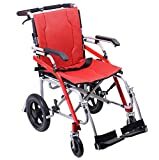 The Medline Lightweight Transport Adult Folding Wheelchair with Handbrakes, being the best lightweight transport wheelchair for transport, will give you the comfort and ease you deserve! Nylon seating is comfortable and easy to clean. It features a seatbelt and handbrakes for security and emergencies. It is foldable for easy transport. Wider design can make it heavier than other chairs on the market. It is steeped in the price range than most other models. Tired of pushing yourself around? Wish for a more lightweight solution that allows you to be transported easier? Well, then the Drive Medical Fly Lite Transport Wheelchair can be the ultimate solution for you. It is much slimmer with four small wheels that make it perfect for having you wheeled around your house or your favorite shopping mall. The wheelchair features 8-inch wheels in the rear with aluminum rear wheel locks so you don’t go slipping away. The front boasts two 6-inch caster wheels that help you move in any direction you want. Also included is a safety belt feature that allows you or someone you’re carrying to be securely held in place while moving. The seat carries pockets or pouches on the back where you can store your favorite things like a wallet or a book. Scared about how it will fit in the car? Worry not! Read on and find out about the best lightweight transport wheelchair. It easily folds down to a small size, which is easy to store and transport. You only need to clasp it down for quick folding. The folded dimensions are 33 x 9 x 36 inches. The seat depth is about 15.25 inches while the height is 18 inches. However, the chair can still hold about 300 lbs. of weight while the product itself weighs about 23.8 lbs. The swing away footrests are a swing away and allow your feet to rest if they are severely injured without putting too much pressure on them. The aluminum frame ensures the seat is durable while the upholstery is a plaid style nylon one. 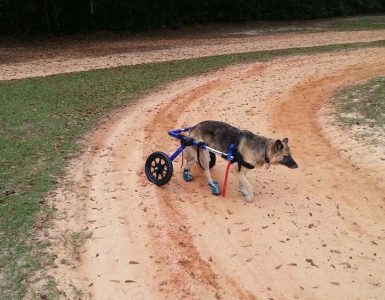 The Drive is perfect for those suffering from injury or disability, which renders them to be incapable of pushing themselves around. Its extensive features certainly make this chair the best lightweight transport wheelchair of the decade! The Drive is lightweight while it can support a weight of about 300 lbs. The handles are ergonomic and cause no strain to the mover. The chair includes a zipped pocket and a mesh one for holding your favorite stuff. The seat is foldable making it easier to store and carry it. With a lifetime warranty, it is extremely durable and easy to maintain. The nylon cloth might not be the best choice for the seat as it might tear easily. The handgrips might be uncomfortable to hold as they have textured ribs. Whether you wish to buy a transport wheelchair for yourself or your injured loved one, nothing can match the Medline Ultralight Transport Mobility Wheelchair. It is perfect for all those folks who are incapable of moving themselves and require a caregiver who can help them move. Included are the most ergonomic hand grips that allow the caregiver to move the chair easily. It does not cause any strain or the hand. The best part about the chair is the restaurant style permanent armrests that have a unique shape. This exquisite shape allows the person to be seated near tables. The seat is ultra-light weighing only about 15 lbs. However, you might be surprised to find out that it can support up to 300 lbs. weight capacity making it sufficient for the heaviest individuals. Also included are back pockets that can store personal belongings such as key rings, wallets, phones etcetera. The Medline is foldable which makes it easy to transport and store. This compact design is accompanied with Stow and go footrests that neatly lock onto the sides when not in use. The wheels are caster type in the front allowing for greater mobility while the rear ones are 8 inches lending more durability to the chair, making it the best lightweight transport wheelchair. The high-grade aluminum when paired with the padded nylon upholstery results in an amazing chair that refuses to compromise on neither durability nor comfort. The seat depth is 16 inches while the width is 19 inches. Also included is a safety belt that helps you secure the person you are carrying. And of course, cup holders are a bonus! The Medline lightweight transport wheelchair is perfect for you and the person you are transporting for both indoor and outdoor use due to its unmatched durability. One of the best lightweight transport wheelchairs, it certainly ensures maximum comfort! The Medline is an ultra-lightweight option that can support up to 300 pounds. It is foldable making it portable, convenient and compact. The safety belt features ensure added safety. Also included are mesh pocket for easier storage. The high-grade aluminum frame is used with plain black padded upholstery. The hand grips are ergonomic and cause no strain. Due to the small wheels, the chair might be a bit tipsy. For a long time now, NOVA has attracted consumers with its quality, design and beautiful accessories. NOVA’s wheelchairs are no exception. The NOVA 352 Lightweight Transport Chair, for example, boasts quality and top-tier designing. It is a lightweight mobility wheelchair with adjustable armrests that make it efficient and easy for desk use. While the chair’s 12-inch wheels are not as big as some other chairs available on the market, it is designed to be durable and maneuverable for perfect smooth motion. The design also ensures user safety. Along with the chair’s durable steel frame that can support up to 300 pounds of weight, its handbrakes provide the much-needed safety and security every wheelchair user requires. It also offers a comfortable sitting arrangement with an inbuilt seatbelt that keeps users in their seats during mobility. Users do not have to be under constant scrutiny when using this wheelchair since it already promises perfect protection and ease. The NOVA 352 Lightweight Transport Chair is foldable to give compact storage and portability for easy transport. 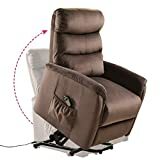 This makes it the perfect choice for users in small living conditions who have to move about a lot in their daily routine. For basic functionality, design, and protection, the NOVA’s wheelchair is the best lightweight transport wheelchair for you. It has a comfortable 20-inch high seat. 300-pound weight capacity accommodates larger users. Lightweight 27.35-pound design and compact folding make it easy to transport. Effective safety measures including seatbelt and handbrakes. Certain features have flimsy designing. A bit more expensive than other competitors. Are you looking for a most exquisite and exceptional wheelchair that will carry around the patients without the added tediousness of regular wheelchairs? Then you’ve come to the right place. 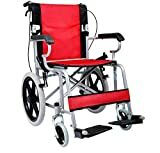 The Aluminum Transport Chair is the perfect choice for you. This wheelchair for the differently abed has been designed to be as comfortable as a recliner while also being as lightweight as a feather. The Aluminum Transport Chair has all the added benefits of a good wheelchair. This chair can easily be folded up and carried away. The lightweight architecture facilitates easy collapsing, allowing caregivers to easily transport patients from one room to another. The choices are endless with this one. There is also adjustable leg rigging for enhanced comfort. The patients will always feel comfortable with the product, which means maximum comfort and portability and minimum inconveniences. The armrests are padded, which will hopefully allow the patients to rest their hands and arms without feeling any pain at all. The foam is soft, durable, and spongy and would be an expert’s choice. The seat can accommodate up to 300 pounds of weight, but it is recommended to use it for patients with lower body weights. The brakes are amazingly strong and durable and can stop suddenly in case of emergency. The tires are made of plastic, but are strong and durable and can withstand a lot of stress. The handlebars are a plus, with their perfect grip and easy to maneuver mechanism. Verily, this is the best lightweight transport wheelchair, and if you didn’t get one for your patients, you’re definitely missing out on something huge here. The Aluminum Transport Chair isn’t just a famed product, it excels on the performance too. 19 inches width allows for a wide range of users to be utilized. The collapsible foldable design is a bonus. The color is pitch black and simple. The seat and armrests are padded with premium quality foam. This product also features one of the best brake systems in the market. The chair can withstand a maximum of 300 pounds, but the width may not accommodate obese users. For users just under 300 pounds, however, this is the best one out there. The architecture and design are pitch perfect. The suspension may not be up to the mark. Comfy Go, while not the most renowned wheelchair company in the business, maintains standard quality and performance in all its mobility products. This foldable and lightweight medical wheelchair is yet another addition to the Comfy Go product line-up. The chair’s steel framework offers durability and performance, while also allowing the chair to carry a substantial load of up to 220 pounds, which makes it great for users above the average weight. The front and rear wheels are solid for maneuvering smoothly offer different surfaces, and also help keep the chair balanced and stable. With its breathable oxford fabric seating, users can enjoy long hours of sitting in their wheelchair without feeling sweaty or uncomfortable. The chair is also lightweight and foldable for efficient carrying and traveling. With all the basic functions and performance standards met in a perfectly affordable price range, the Comfy Go Foldable Lightweight Manual Transport Medical Wheelchair is definitely the best lightweight transport wheelchair option for users looking for simplicity. Comfy Go also offer quality folding power wheelchairs. The chair is lightweight and foldable for easy transport. The seat is made from Oxford breathable fabric for comfort. The chair has a good loading capacity of 220 pounds. The steelwork and wheels offer stability and durability. The brand name isn’t that well-known. 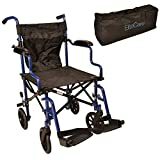 The Elite Care travel wheelchair is the traveling solution you might be looking for. It is not only the best lightweight transport wheelchair for everyday use, but it is also the ultimate solution for wheelchair users who have to move around during busy flights and work travels many times. The elevated design is responsible for improving your body posturing and providing the required amount of support to your back and neck. Its super lightweight structure also makes it great for picking up and storing in your cars or homes. Not only is it super easy to set up, but the chair can also be quickly and efficiently packed in the additional carry bag for your transport needs so you never have to worry about annoyances in between your travels. It also has a foldable back and detachable footrest for your comfort and convenience. Don’t worry about maneuverability, the chair’s solid tires offer you stability and universal movement on almost all surfaces. It also has a beautiful blue design and arms adjusted for desk use for the working user. If you’re looking for high-quality performance and design, this is the wheelchair for you! The chair comes with a travel bag. It is lightweight and foldable for easy transport. It comes with a travel bag for easy transport. Its foldable back and detachable footrests give easy setup and packing. It has a large loading capacity of 255 pounds. Desk arms make it perfect for work use. The chair cannot be self-propelled. It is slightly more expensive than other models. It is a bit uncomfortable for long usage for certain users. Have you ever been using a wheelchair to carry your patients only to find that this chair that you paid hundreds for is squeaking and leaking from places? This will not only upset you but also ruin all your entire expenditures. Then the Hi-Fortune Lightweight Transport Wheelchair is the perfect one for you. The entire structure is an impeccable build, and all the patients will feel comfortable and at home in the seat. This lightweight transport wheelchair chair can accommodate a wide range of users, meaning that thousands of people can find comfort and peace in the foam abode of this wheelchair. The total weight of the chair itself is 21 pounds, which means that caregivers and doctors and nurses can easily move the chair around without having to cope with a lot of cumbersome weight. The chair is easy to maneuver and easy to assemble, and costs just under your daily budget. 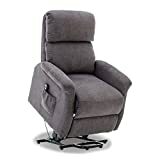 The footrests can be removed or adjusted according to need, and the armrests are foam padded to provide extra comfort. This not only means comfort for the patient but for the caregiver as well. The leg rigging is swing-away and will be a plus point. Apart from that, the dimensions are premium and are impeccable for all types of users. The upholstered nylon is as comfortable and sophisticated as it gets. Apart from looking good, this upholstery will make your patients feel like they’re back at home with their leather beds and couches. The seat also features a safety belt for extra security, to ensure that the patient doesn’t fall out of the chair. Nevertheless, the 1-year warranty is what makes this the best lightweight transport wheelchair. No doubt, it is worth the price paid. Nylon upholstery allows for easier comfort and stability. Armrests and leg riggings and footrests can be easily adjusted. The design has been made by the best engineers in the country. The color is simple and minimalistic. 21 pounds light weight allows easy maneuverability. Supports the back and neck perfectly. Costs within the budget, and works like a charm. The mechanism is highly sophisticated and tremendously easy to operate. Wheels and bearings may not be durable but are worth the price and effort. The product may arrive broken, but that is mostly a delivery problem. So, all in all, our top favorite best lightweight transport wheelchair has a vast variety of functions to help you take care of your loved one without losing your patience. They are extremely comfortable for both the caregiver and the user. 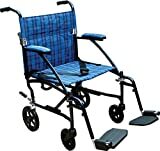 Any user will experience the immense benefits of using these best lightweight transport wheelchairs. 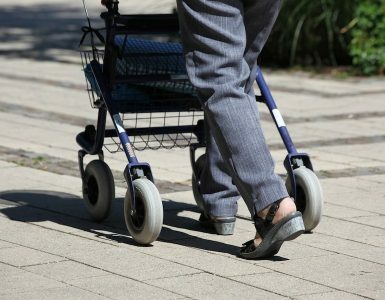 These wheelchairs provide both functionality and flexibility to the user that they can easily lead an active lifestyle. 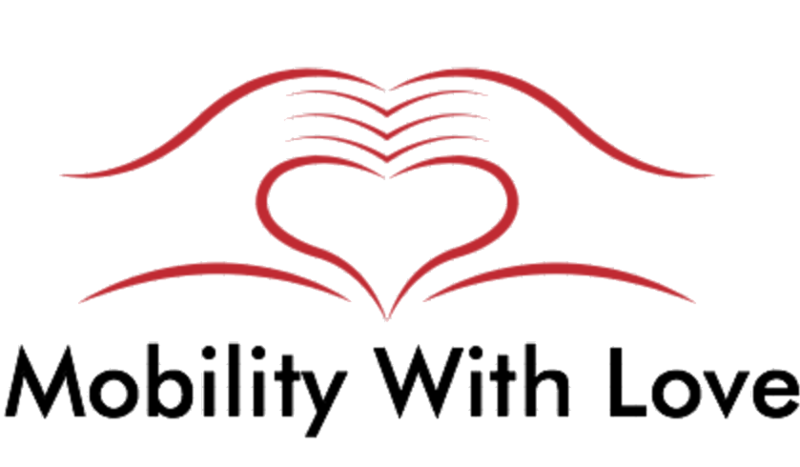 All these lightweight transport wheelchairs embrace durability, functionality, and easy to use!